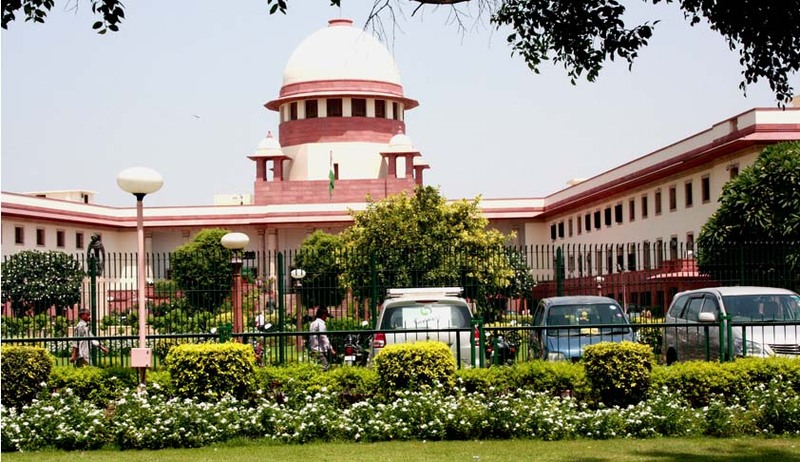 In an important judgment delivered on 28th January, a two judge bench of Supreme Court comprising of Justices Chelameshwar and R.F Nariman has made it abundantly clear that the provisions of Civil Procedure Code, 1908 (CPC) are not applicable to the jurisdiction covered by the United Khasi-Jaintia Hills Autonomous District (Administration of Justice) Rules, 1953 (also, similarly crafted other rules) which have been drafted under Para 4 of Schedule VI to the Constitution. The bench speaking through Nariman J allowed the appeal setting aside the High Court’s (Gauhati High Court, Shillong Bench) order calling application of provisions of CPC by HC to these areas the ‘basic error’ in the impugned judgment. The Subordinate District Council Court had granted an ad interim ex parte injunction. The District Council Court allowing the appeal set aside the injunction. The High Court (impugned) in appeal allowed the Civil Revision Petition holding that since the appeal to District Council Court had been filed within 30 days of the ex parte order, it would not be maintainable under CPC during pendency of the application for vacation of the injunction. Moreover, in Para 9, the judgment went one step ahead & also relied upon an Assam High Court Judgment which had held that even the Criminal Procedure Code is not applicable to these areas and affirmed this view. It was further made clear that an appeal has been provided as a matter of right under Rule 28 of the 1953 Rules and only the spirit of the Code of Civil Procedure applies. Two judgments were therefore nullified to this extent as they based their reasoning upon the letter and not the spirit of CPC. The judgment removed all clouds of doubt by reasoning further that even otherwise, the judgments relied upon by the respondent state that such appeal is maintainable under the CPC, but the court may relegate the appellant to the alternative remedy provided – an application to vacate the stay within 30 days. This in turn does not go to the maintainability of the appeal but only goes to whether discretion ought to be exercised against the appellant if the provisions of Order 39 Rule 3A have been followed. It has thus been made clear that by virtue of Sec 1 of CPC and Sec 1(2) of CrPC, the provisions of these statute books do not apply in letter to the states and tribal areas expressly excluded. In fact the Regional Councils created under Para 4 of Schedule VI to the Constitution are competent to rule on their own jurisdiction flowing from the respective rules they derive their existence from. However, being descriptive codes, the spirit enshrined within CPC & CrPC should be followed in such parent Rule Books for proper governance of these areas.